A laugh shared with a loved one, a pat on the back for a job well done, a rush of joy that springs from the absence of worries, the anticipation of a future filled with great promise – these are the little things that make a good day. But they don’t simply happen. They are driven by something strong inside each and every one of us – an attitude; a conscious decision to take whatever life brings and make the best of it. That’s the attitude you wear when you pick up a pack of Milkman. Because in that moment, you have decided that whatever life may throw at you, good or bad, today you smile, today you win, today you live to enjoy the day. 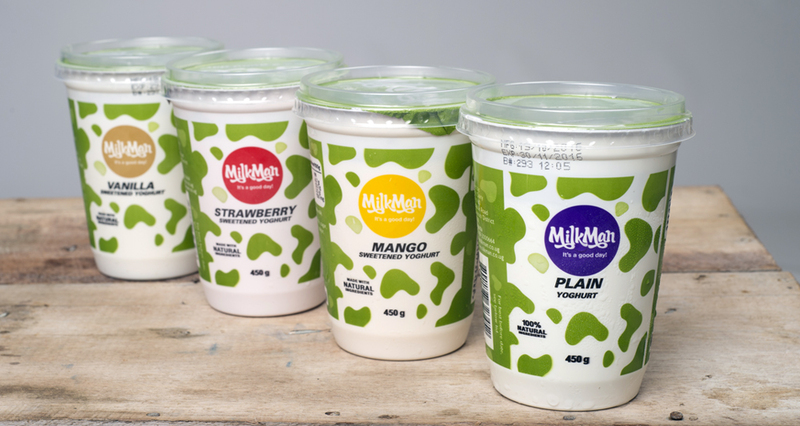 The Milkman brand is a proudly Ugandan brand that champions positivity and celebrates the good things in life. But we don’t rely on telling our own story, we rely on having you experience it so that you tell it for us. To consistently deliver high quality and tasty products at a fair price, while adding value to the community. Be real in our methods and apply natural processes. Make and maintain products of the highest standard. Stay consistently reliable and true to our commitments. Continuously make a positive impact in the lives of people and communities. Always think ahead and set the pace in every respect.